Cooking with a wok is one of the simplest ways of making delicious food. Its versatility is unparalleled - it can be used for stir-frying, braising, steaming and deep-frying. 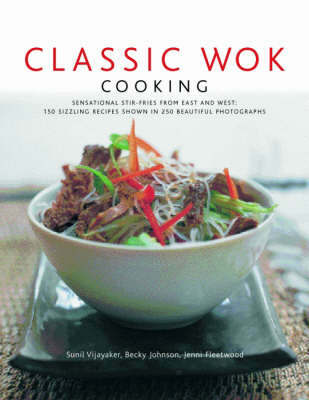 This fantastic new volume brings together the best of wok cooking. Whether you want Chinese Crispy Five-Spice Chicken, Crisp-Fried Japanese Panko Prawns, Malaysian Laksa Lemak or Indian Mee Goreng this book has 150 sizzling recipes to suit every palate and occasion. My First Baking Book: 50 Recipes for Kids to Make and Eat! South American Food & Cooking: Ingredients, techniques and signature recipes from the undiscovered traditional cuisines of Brazil, Argentina, Uruguay, ... Ecuador, Mexico, Colombia and Venezuela.